Digital fashion is beginning to spread. 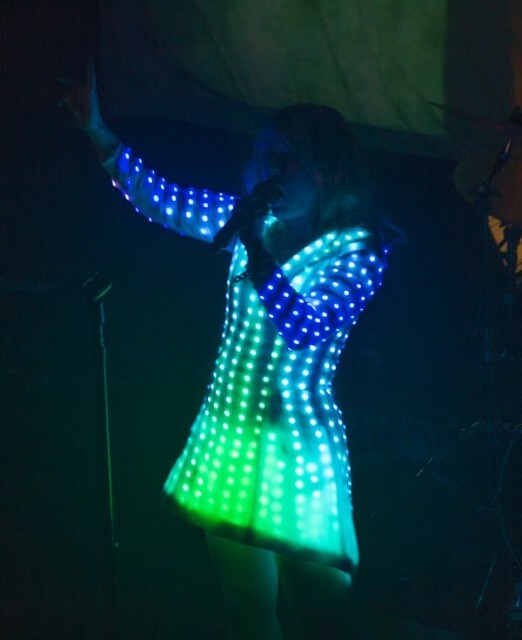 The latest evidence is the dazzling light-up dress for Little Boots, a “Cyber Cinderella” garment that transforms into a blaze of colored LEDs during the encore of her current tour. The Creators Project (VICE) has a short documentary film on the process. The garment here doesn’t look like one designed by an engineer. It looks like a dress. See Michelle Wu’s site for more; I really appreciate her designs. 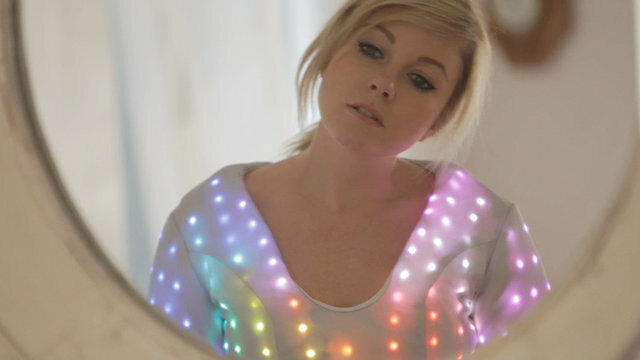 It’s not just the form of the dress that shows her skill: a keen eye for pattern and textile engineering, honed in engineering sweaters, comes through in her treatment of the LEDs. That’s not to say there aren’t some clever technical features, too. An SD card reader loads pre-programmed shows, so that rather than being a glorified noise meter, the dress dances with pre-configured choreography that fits the song. The pack and its rechargeable lithium battery unfortunately mean there’s a dark patch in the back, but the design is still solid. And with these designs going viral, it’ll be fascinating to see what happens next.